We can’t talk of software development without evolution, change and dynamism. Techniques and strategies as well, all of these have been improved and adapted to the needs of the new world of technology. 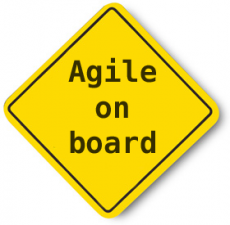 Agile was born as a mechanism to achieve rapid software development. Structured with short sprints, scrum meetings and a strict task distribution as its main points, it can drive constant updates based on stories applied to small and simple tasks as part of small or large enterprise projects due its dynamic approach. Because all of that and more, it’s no surprise Agile has become one of the most desired methodologies in the industry, gaining incredible empathy day by day. Where does ADF come in this picture? In recent years Oracle has put a lot of effort into getting the Application Development Framework as its main approach for new software development and I think they’ve done well. They are not only providing an IDE for development; they are providing a full Enterprise set of tools. With libraries, components, a functional IDE, teamwork consolidation and stability, Oracle has a very comprehensive perspective. JDeveloper – the primary tool for this environment, it can be converted into a milestone in the development process by adding next components. Team Productivity Center Server – a Java application offering a set of connection services, including storing third-party credentials for third-party repositories so users can access different products seamlessly. Also includes a simple, built-in tasks repository, just in case. Team Productivity Center Connectors – expose third-party repositories of information to the client. Includes built-in connectors for Jira, Bugzilla, Rally, MS Project Server and of course the simple task database. The great value of these three is that the user can do perform all of their essential tasks from a single interface: JDeveloper. The IDE also provides access to the team member contact list, team chat, tasks assignment verificationand versioning control all together. With JDeveloper as the logical IDE for ADF, ADF becomes the logical candidate to be used in methodologies for rapid development and by that I mean Agile, of course. Oracle’s solution scores additional points with templates, an intuitive interface, MVC work model and component-driven modularity. It can take you from design through development, testing and finally deployment, simplifying a lot of effort in adapting each user and getting up to speed. As usual, implementing any change in a process requires a good amount of effort to get started but once running it will provide empowerment to improve. These are some reasons why ADF, as part of the Oracle Solution for software development, is the right solution for an Agile environment. This entry was posted on Thursday, September 19th, 2013 at 12:48 pm and is filed under Oracle. You can follow any responses to this entry through the RSS 2.0 feed. You can leave a response, or trackback from your own site.